Even in vacuum conditions (1E-6 torr), there would still be possibility for impurities to be adsorbed on the samples in a given period of time (around 1 ML every second). So, taking out samples to perform series of experiments on different UHV systems will increase the chance of contamination. However, if we will be able to transfer samples between different systems while maintaining the UHV environment, then the contamination will be greatly reduced. One way of solving this is by integrating UHV systems using UHV transfering systems that allows sample transfer to be done in UHV conditions, hence having cleaner and higher quality experiments. AdNaNoTek can help researchers to integrate any possible combinations of UHV deposition systems, UHV analytical system, and other UHV-related systems (e.g. 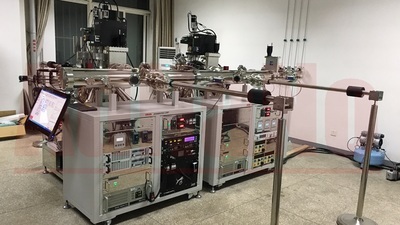 MBE, PLD, IBSD, MSD, Evaporators, ALD, XPS, STM, ARPES, 4-probe, PPMS, etc), using Linear Transfer System (LTS) or Radial Distribution System (RDS) forming an interconnected multi-system called Integrated UHV System. 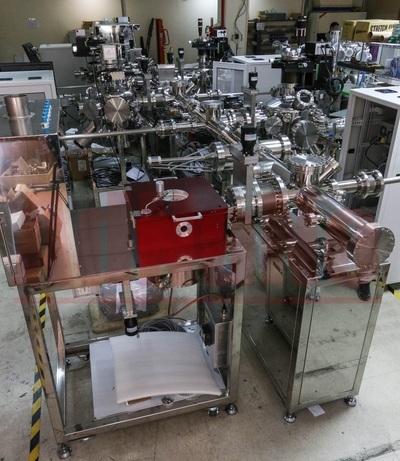 ​With AdNaNoTek's vast experience in UHV technologies and UHV transfer systems, AdNaNoTek can provide the best solution for integrated UHV systems in which samples and targets can be transferred between each UHV systems with ease, while maintaining UHV environment. Hence making the whole system perform more effectively and efficiently. AdNanoTek's Integrated UHV System has advanced UHV Linear Tunnel System (LTS) that allows transfer of multiple samples between individual chambers while maintaining clean UHV condition on each transfers. This also saves time since there is no need to re-evacuate each chambers every after sample introductions. UHV Linear Tunnel System comprises of a linear track with small magnetic multi-slot transport vehicle that can store and transfer many samples or targets to each UHV chamber at the same time. The transport systems also has many viewing ports that allow monitoring of transport vehicle during transfers between chambers. 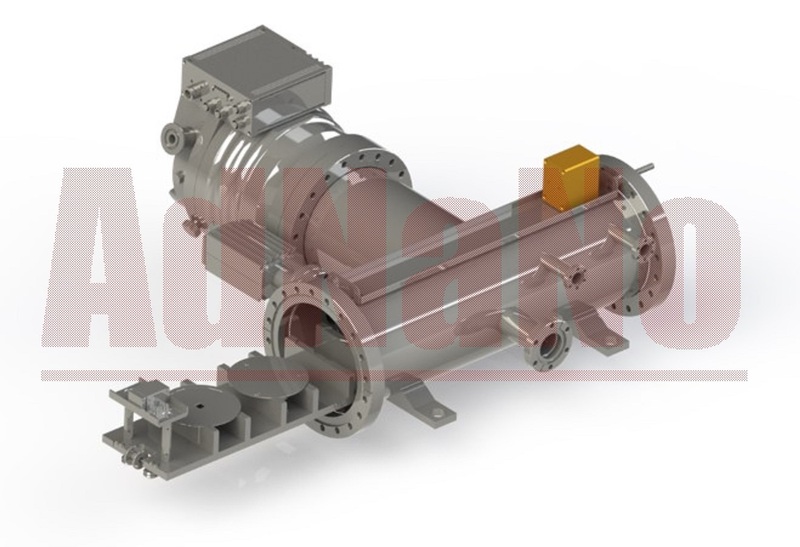 More importantly, it is equipped with vacuum pump systems on each transmission lines to achieve UHV condition (5E-9 torr) and allows impurity-free transport.